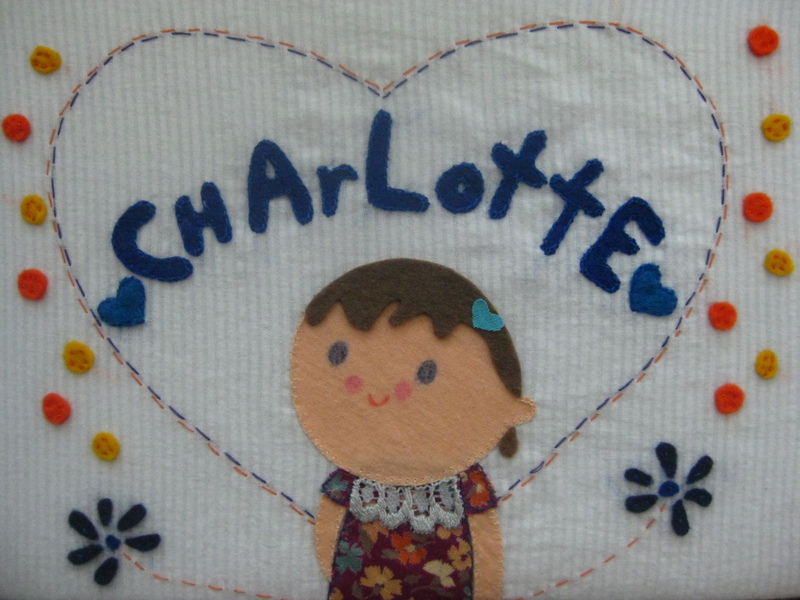 Plain white cotton, coloured felt...many hours with scissors and stitching....lots of stitching. All following my hand-drawn patterns! I'm proud of them. I made them well. 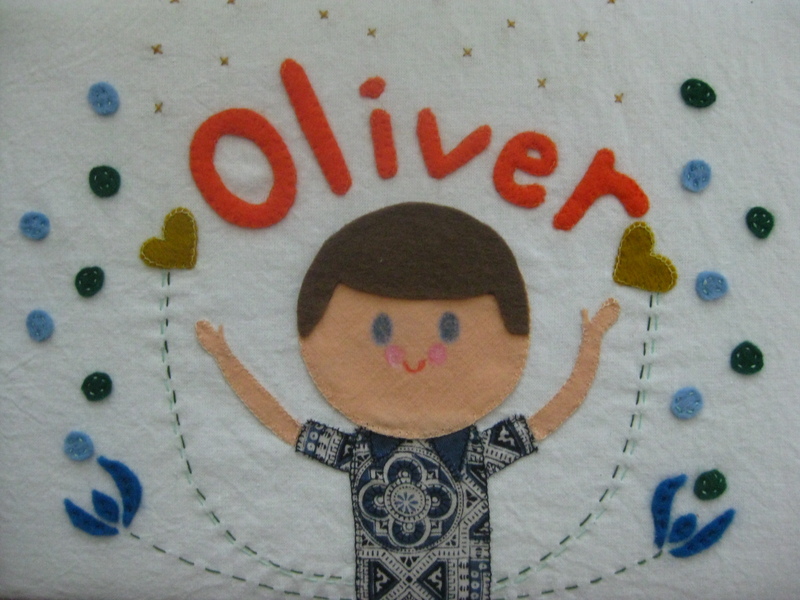 The stitches are almost perfect, although I was aiming to make them incongruous...maybe next time. They took months to make! I could have spent the evenings I was making these on other things...like pulling weeds and cleaning the tub, I suppose.